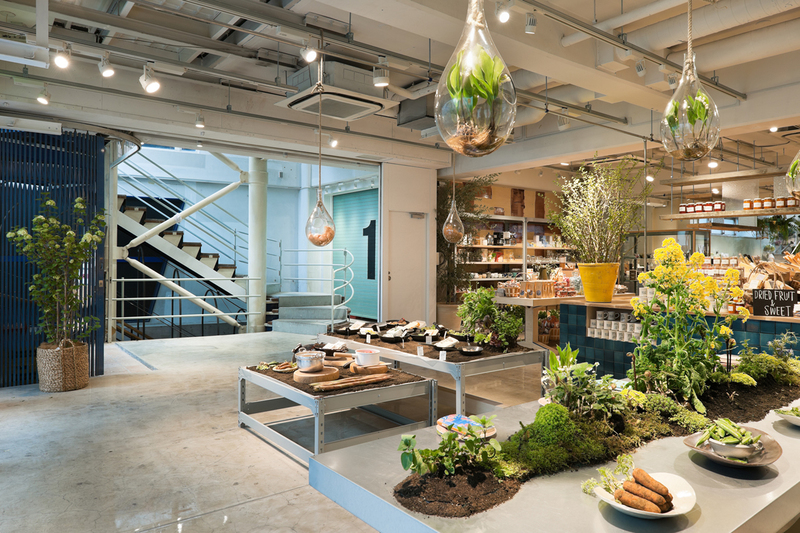 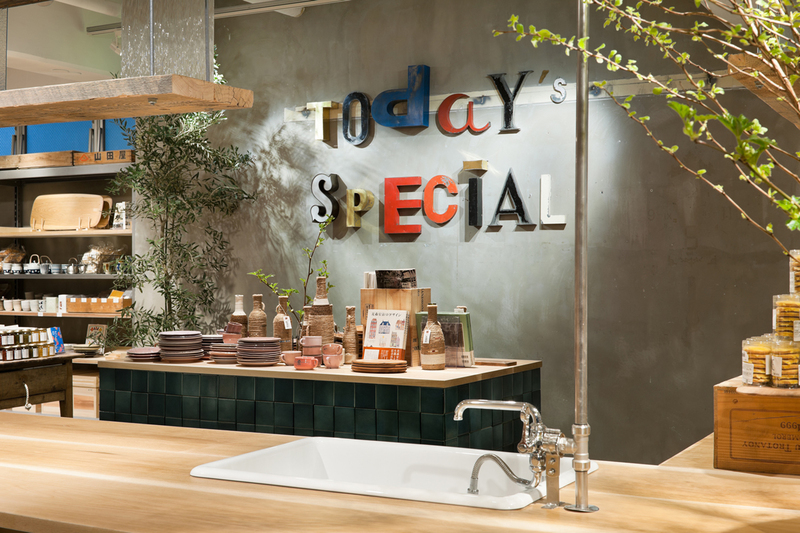 CIBONE, one of the most acclaimed interior design stores in Tokyo, has launched a new brand TODAY’S SPECIAL. 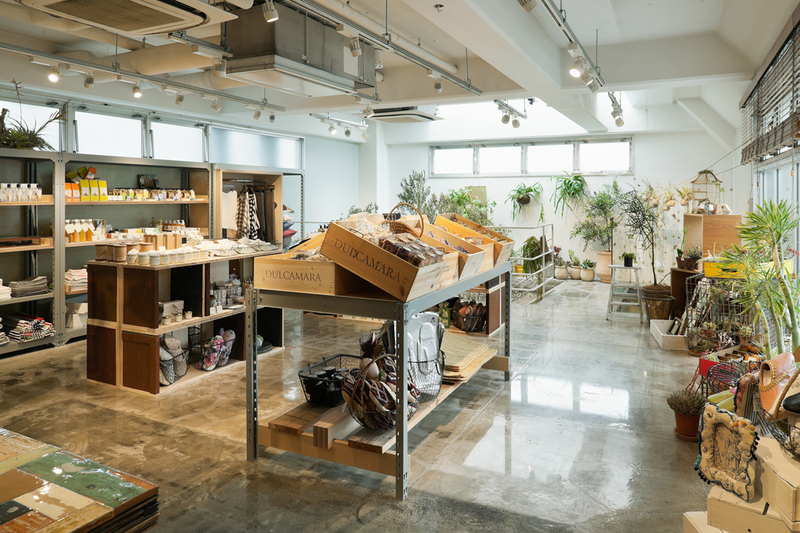 The brand concept is a “life stye shop” dealing with wide-ranging products designed to enrich the daily lives, and they are planning multi-store development in the future. 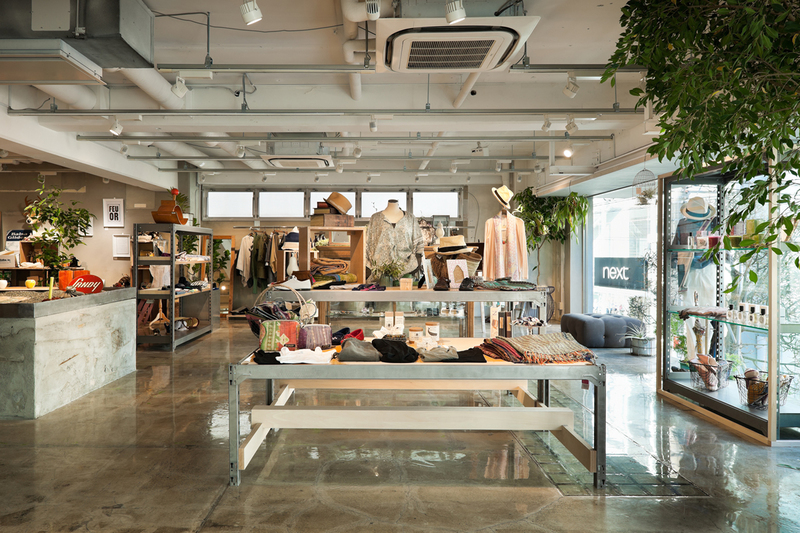 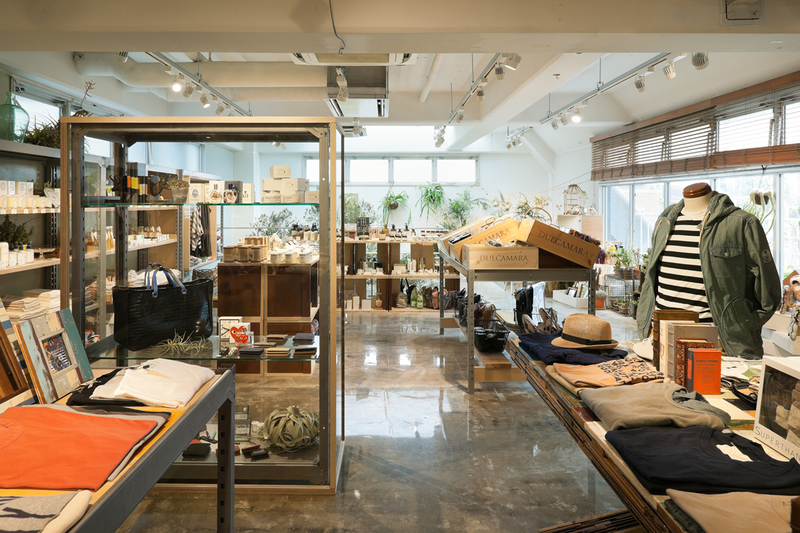 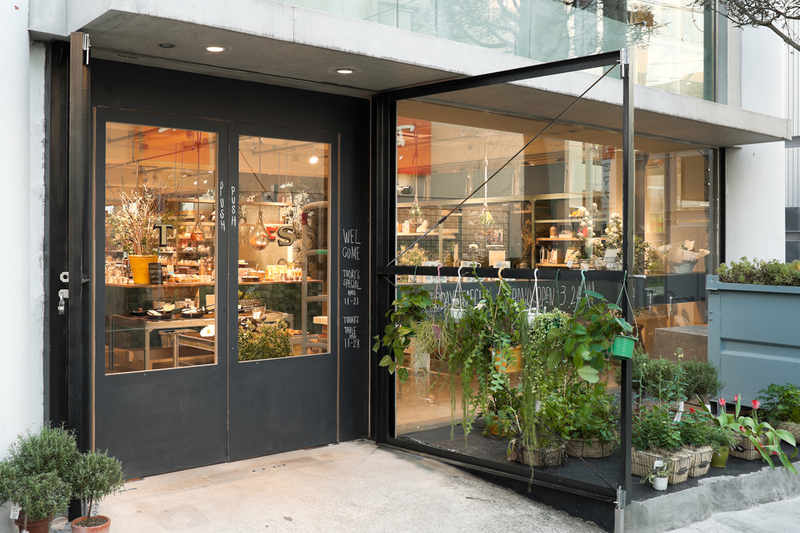 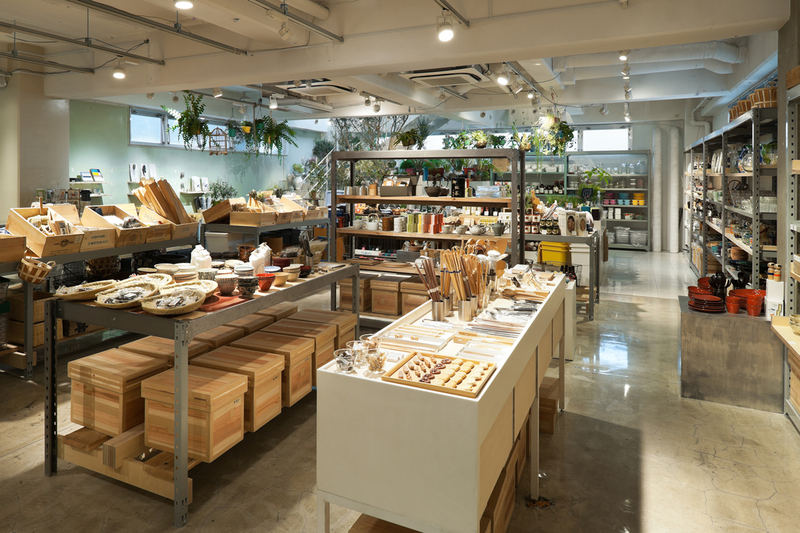 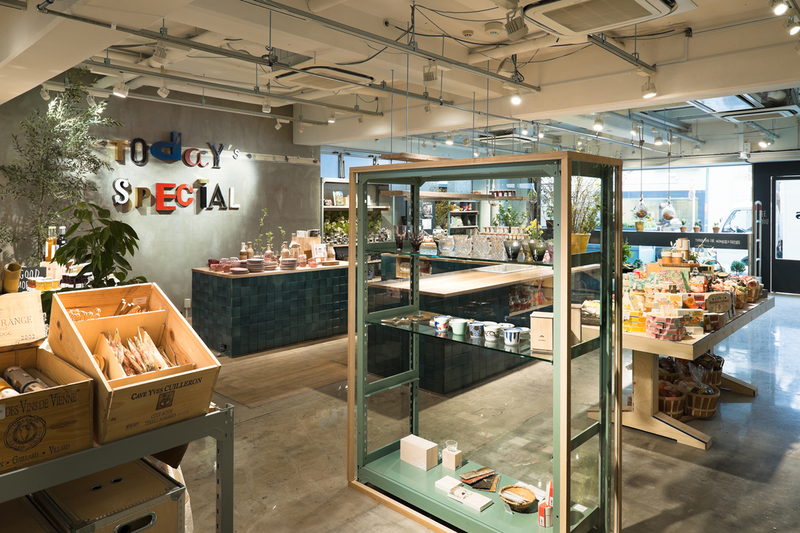 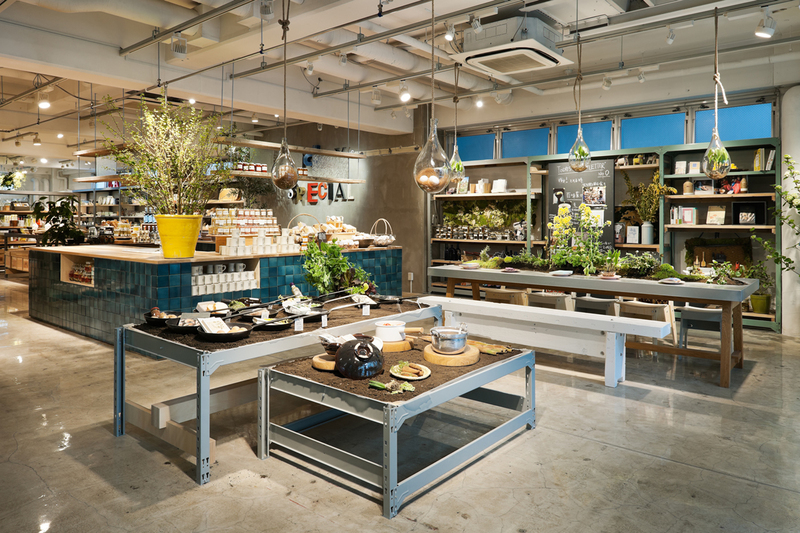 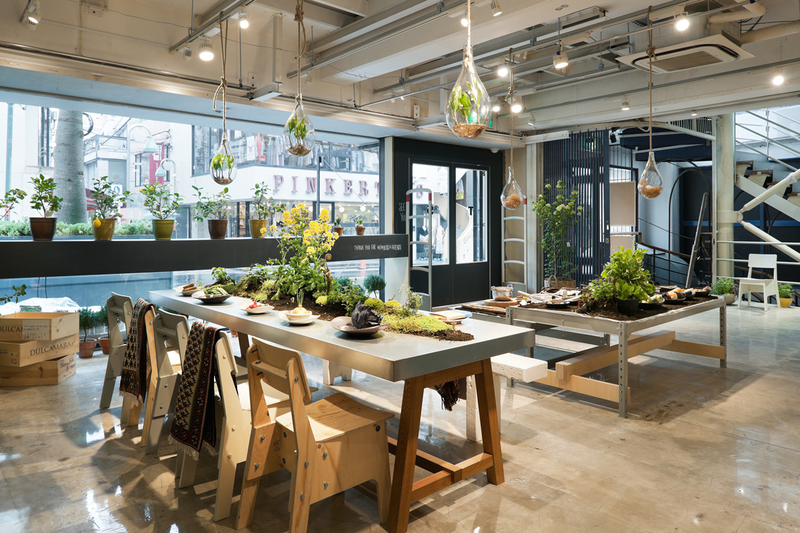 The brand’s flagship shop, TODAY’S SPECIAL Jiyūgaoka, was created by redesigning CIBONE Jiyūgaoka. 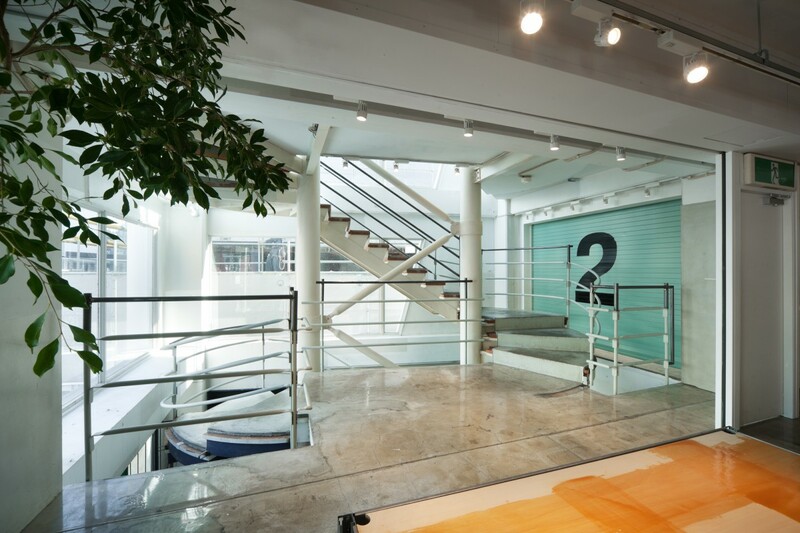 In this renovation project, we aimed at making maximum changes with minimal treatment. 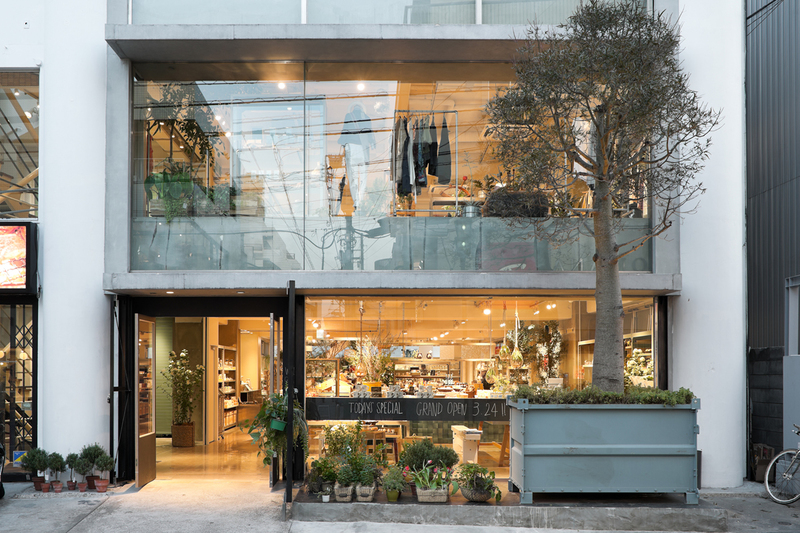 We removed the exterior cladding that had covered CIBONE Jiyūgaoka for a decade. 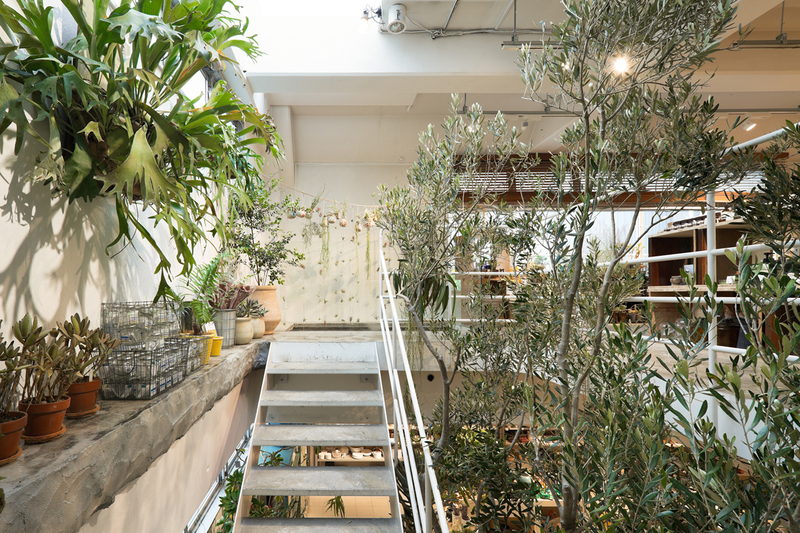 The interior partitions were also removed to create an open and welcoming space brimming with natural right. 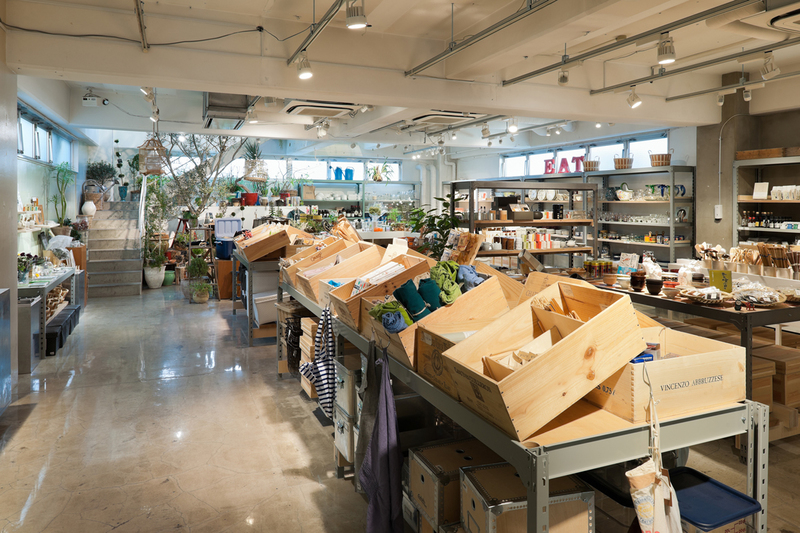 In the interior space, prefabricated steel racks are mainly used, while wooden fixtures are partly combined with the steel racks according to various purposes; the hardness of steel and the tenderness of wood are integrated, achieving a pleasant atmosphere which is not too “cool” or “warm” .